Southern Spice on Taj Coromandel Chennai was, in one single word, ravishing! 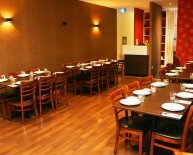 The décor, as a result of its facelift this past year turned it into a veritable temple towards satisfaction of Indian cooking delights. As you strolled through elegant, roomy lobby associated with Taj Coromandel, the entry to Southern Spice had been hidden behind the wall in which statue regarding the Nataraja, Shiva while the Cosmic Dancer, endured. 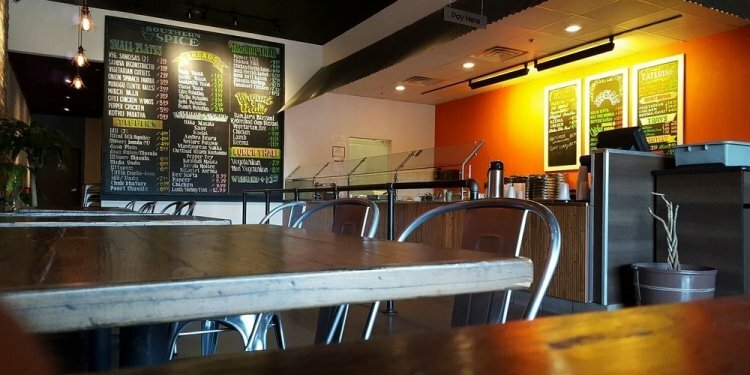 My first picture of brand new south Spice dining room actually took my air away. Positively gorgeous large ceilings organized by created pillars, spectacularly colorful murals on walls, modern-day furnishings and double-layered white-linen tablecloth set with stunning gold tableware. 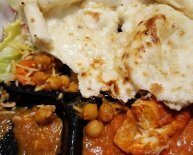 The food ended up being Indian cuisine as I’d never ever experienced before – delectable small morsels, expertly prepared, prettily shown, and packing so much flavors, I didn’t understand how to start. Really, in the first place, my genial, ever-smiling waiter poured warm, steaming rasam from a teapot into a stylish bone-china tea-cup. The rasam soup ended up being bursting with flavors. 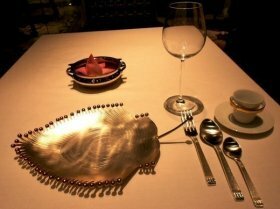 Next arrived an array of little papads, minute lotus root crisps & crisps, with an array of chutneys, therefore stunning, they wouldn’t look out of put on a top-notch Japanese kaiseki spread. And the coconut chutney … you *must* arrive at Southern Spice just to taste its coconut chutney – it was usually the one to end all coconut chutneys: such as the juice and creaminess associated with the freshest coconuts have been distilled and concentrated into that tiny small dollop. The flavor of that coconut chutney had every tresses on straight back of my neck standing. Oh my, had been this a flash inside pan? Because it it’s maybe not, i could properly declare that Southern Spice served the greatest coconut chutney inside universe! Next came the amuse-bouche – the teeniest steamed dumpling made of rice flour, filled with jiggery – it absolutely was like “putu piring” or “kueh tutu” we now have back Singapore. But this transcended any contrast – it had been, once more, delicately breathtaking, very little larger than my thumbnail - like a morsel assembled because of the smallest fairy fingers. - “Kozhi Malliperalan” – a Kutanad specialty of cilantro-flavored chicken stew. “Kane Kempu Bezule” (slender wands of ladyfish from Mangalore, marinated and deep-fried), flaky-buttery “parota” breads, a milky-moist bowl-shaped “appam” with crisp feathery-light crisp sides – every thing had been carefully prepared and offered a la moment. Dessert had been a scrumptious banana “dosa” and a wheat-jaggery “Godhi Bella” ice-cream. One *must* also order the Southern Indian coffee – watching your waiter pour the coffee in one little metal glass into another, extending his arms 3 feet aside. It made Singapore/Malaysia’s “teh tarik” men, with regards to huge metal mugs, look absolutely amateurish. These Southern Spice waiters had been pouring/”pulling” beverage and coffee operating glasses a maximum of 2.5 ins in diameter, … on a fully-carpeted floor without spilling a drop. Only my jaw dropped. 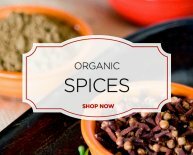 What’s best about Southern Spice? Their genial staff of waiters: efficient, courteous, ever-smiling and jovial. Their sense of camaraderie did actually affect the whole, usually imposing and formal food area. It lent an air of glee that appeared infectious. I do believe i recently found a unique applicant for most useful Indian restaurant on earth … the following in a sunny corner in the bustling metropolis of Chennai. I’m crazy.